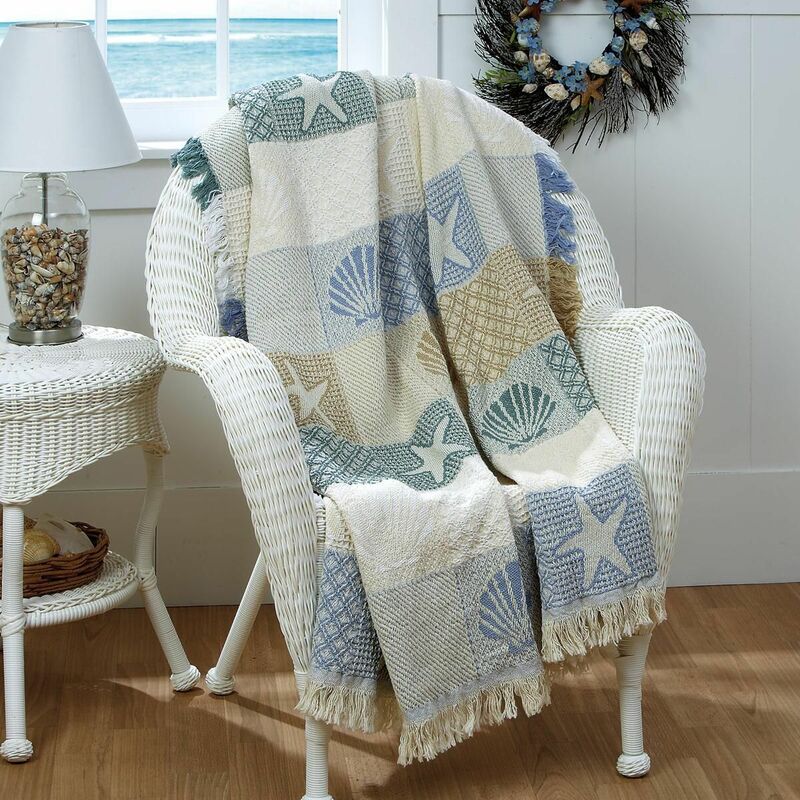 Wrap up in coastal style and warmth. This double-layered 100% cotton throw has a full fringe. 46 x 60". Machine wash cold; tumble dry. Imported.